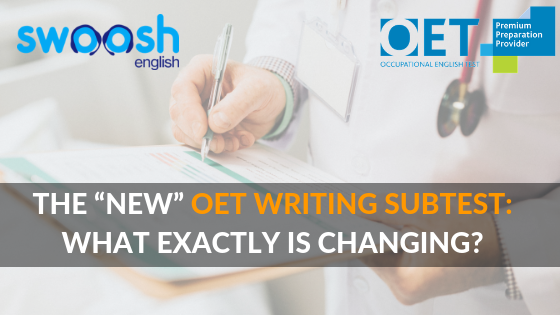 As I’m sure many of you have heard by now, as of 3rd August this year, changes are coming in relation to the OET Writing Subtest. What may not be clear, however, is exactly what those changes will be and how they will affect future test-takers. 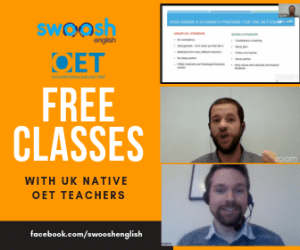 In this article, I will look at exactly what is and, most crucially, isn’t changing in relation to the OET Writing subtest, in order to help reassure and support those of you who have been preparing diligently using the current format. This criterion focuses on the way the candidate makes the purpose of their letter immediately apparent and clear. The purpose should be included in the first paragraph of the letter. For example: “I am writing to refer the above mentioned patient who is suffering from worsening osteoarthritis. This criterion assesses what was previously covered under Appropriateness of Language. You should continue to write using a formal register and use language which is suitable for your target audience, for example, certain technical abbreviations would be suitable when writing to a doctor which would not be suitable if writing to a parent. Your writing should also be clinical, precise and non-judgemental. So, overall, the task itself has not changed but being familiar with the new criteria will help to ensure that you are doing everything possible to score highly in the exam from August and beyond. The Purpose criterion is the only part which is completely new, other areas have been repackaged and help to clarify exactly what it is the examiners are looking to see in your letters. Is OET writing one of your weaknesses? Do you need help and guidance in this area? 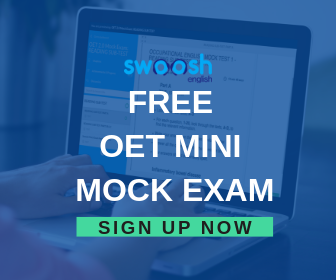 Swoosh English is a PREMIUM OET PREPARATION PROVIDER and we can help you prepare for the OET exam QUICKLY and EFFECTIVELY. Join our Deluxe self-study package for only $149/month where you will get 10 writing corrections per month, video courses on all 4 areas (OET writing, reading, speaking & listening), OET mock test + more. This is a VERY IMPORTANT article that you should take note of. You can also bookmark this article and save it so that you can come back to it anytime. If you have any questions about the OET writing changes, do not hesitate to ask us and put them in the message box below! Need to check your current English level? Sign up for our FREE OET mini mock exam for reading and listening with automated results! The writing task will change as of August 2019. All of the new criteria are graded out of 7. You will be penalised if you write more than 200 words. Retrieval of language is emphasised in the new criteria. The new criteria place specific importance on making the purpose of your letter immediately clear. Range of grammar is assessed as part of the Language criterion. Which of the new criteria deals with the following aspects?